4KRFT SPORT BADGE OF SPORT SHORTS STRETCHY SHORTS DESIGNED TO MANAGE MOISTURE. 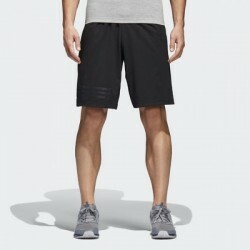 Add volume and ..
ID STADIUM SHORTS COMFORTABLE SHORTS WITH A LOOK ROOTED IN SPORT. An athletic look built for b..
3-STRIPES SWIM SHORTS CLASSIC SWIM SHORTS WITH SIDE POCKETS. The clean and simple design of th..
3-STRIPES SWIM SHORTS LIGHTWEIGHT SWIM SHORTS MADE OF QUICK-DRYING FABRIC. With a classic leng.. SOLID SWIM SHORTS EVERYDAY SWIM SHORTS MADE FOR WATER SPORTS. Made for the diving board, the b..